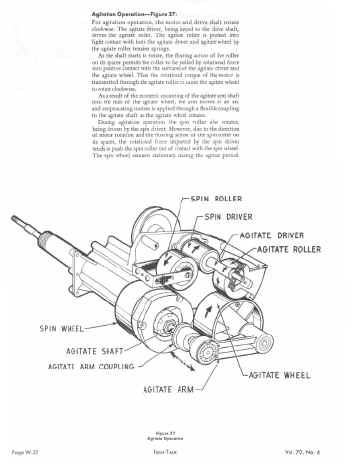 Frigidaire 1-18 Washer Complete Service Manual - 92 Pages! Here's a 92 page 'Tech-Talk' service manual for (General Motors mfg.) 1970 'S' model Frigidaire clothes washers! 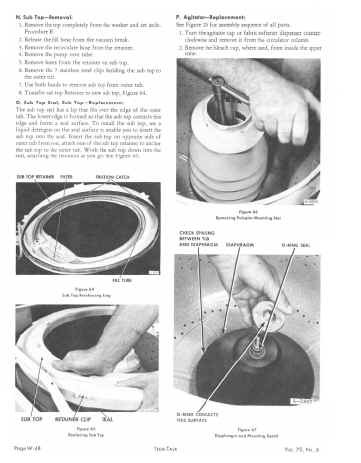 Most of this information applies to all the 1-18 washers, made from 1970 - 1979. And it's in Adobe .pdf format, so I can deliver it to you Priority Mail on a CD (averages 2 days in US). NEW OPTION! This manual is now available as an easily downloaded pdf file, with no shipping charges, for $28.50 USD. An advantage of the .pdf format is the ability to zoom in on the images and examine details. Or print a hardcopy any time you like. A very flexible and handy resource for all of us classic appliance enthusiasts who are familiar with the quality that was built into these old machines! This is a direct scan and painstaking digital remaster of my original paper manual, NOT a 3rd or 4th generation copy! 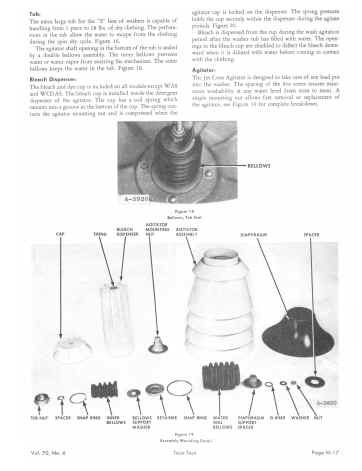 I've included images of a few of this manual's pages below, so you can get an idea of the details (even though these pictures don't look great in a web browser). I have many hours invested in remastering this rare manual, and must say I'm proud of how it turned out! File size of this outstanding manual is large, approx. 69MB, so I'm offering it on a Priority-Mailed CD. Priority averages two days to most any US address, and has been very reliable. The shipping and media add $7.00 to the manual's $28.50 price, for a total of $35.50. And don't miss the other vintage manuals I'm offering!